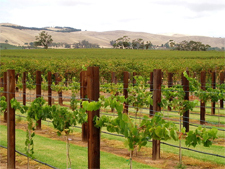 With a long and established wine-growing history, Australia is the world’s 6th largest wine producer, and therefore among the most established of the New World wine-producing regions. As a result there are many first-rate mature vineyards producing exceptional world-class wines from producers such as Penfolds, Moss Wood, Grosset, Torbreck and Henschke. Most of the vineyards are located in the South Eastern Australia Zone, consisting of South Australia, New South Wales and Victoria, where you can find a multitude of wine regions; from the valleys of Clare and Eden, known for exceptionally fruity and age-worthy Rieslings, to crisp Hunter Valley Semillon, and elegant Cabernets from Margaret River and Coonawarra. Shiraz is by far the largest most planted variety across the whole of Australia. It responds well to the country’s variety of climates and terroirs, and is the reason why Australia has a great abundance of old vines ranging between 80 to 160 years old. These tend to be ungrafted, producing low volumes of high-quality fruit. Over the years, Australian Shiraz has caused an international sensation from the rich and powerful wines of the Barossa and Hunter Valleys, to the silkier, leaner, more peppery styles from Heathcote.